This Summer we conducted an in-depth, comprehensive website review and Japan market research project for a European travel and tourism company which operates resorts in exotic locations around the world. They were looking for ways they could better penetrate and engage the Japanese market, and asked us to collect and prepare market data and make recommendations for improving their websites, user experience, booking process, social media strategy, and digital marketing. Although I can't publish the full content of our report here, I would like to share some of the key take-aways related to Japanese hotel websites that we identified in the course of our research. In this post I summarize these for the benefit of readers who might be interested in learning about them. We looked at over 50 Japanese hotel websites, from luxury hotels like the Ritz Carlton and Four Seasons, right on through to domestic resort hotels in Niseko and Okinawa. All top-tier hotels were included in our research. We also surveyed over 100 Japanese between the ages of 30 and 65 on a wide range of topics related to travel and tourism. Their responses were a key factor in the selection process for the tips which follow. So, with that, let's dive in! Of the websites we reviewed, 83% had either a responsive design or a separate "adaptive" mobile-optimized website. Today up to 50% of hotel website traffic is coming from handheld devices such as smartphones, which means full support for smartphones is an absolute necessity. In the past year, mobile's share of travel visits has grown by 48% ... while mobile web conversion rates for travel sites have grown 88%. These numbers are impressive, and serve to underscore the importance for brands of being there when on-the-go consumers come knocking. Mobile optimization today is less about standing out than it is staying alive. The trend for new websites (i.e. - those developed in 2015) is for responsive websites (a single, fluid website design that works across all device types) rather than separate, mobile-only adaptive websites. Responsive websites are cheaper and easier to manage, since you need only maintain and update a single website for all screen sizes (unlike adaptive websites, which are essentially two different websites with their own code and content). When we talk about the need to support mobile this is not just limited to content pages (news, dining, room details, etc.) but also applies to the restaurant booking and room reservation functions. Making sure these functions work smoothly and easily on smartphones is just as important--if not more so--than getting the content pages right. 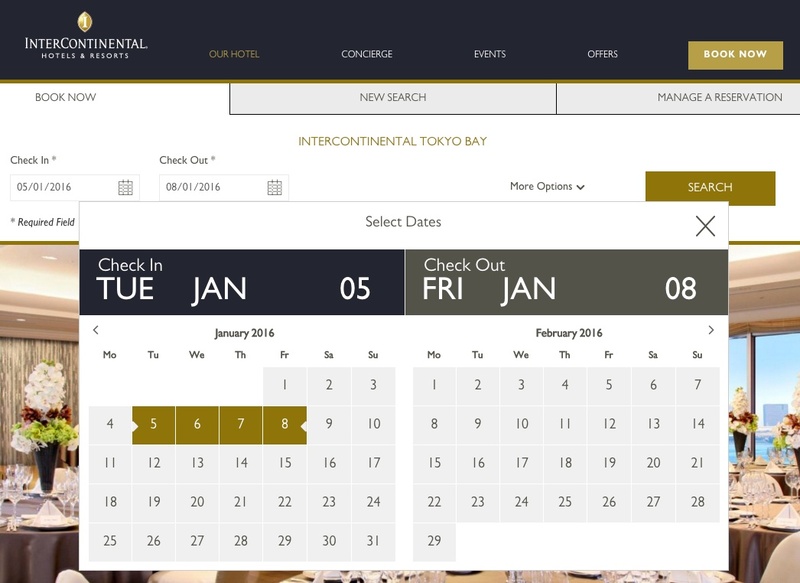 A good example of getting this right is the mobile-optimized booking form for the Mandarin Oriental. They've done a great job with theirs, but I can tell you that this is the exception more than the rule. Overall we found mobile support in key areas like this to be clunky, dated, or only partially functional. Japan is in the midst of an inbound tourism boom that shows no signs of slowing down. For hotels this means serving many more non-Japanese guests, and still more potential customers researching accommodations overseas. Who are they, where are they coming from, and how (if at all) are they finding you online? Having answers to these questions and a strategy for getting their business will have a significant on your bottom line. Where are they coming from? Figures published by the Japan Tourism Agency show that the majority of tourists visiting Japan in Q3 of this year come from Asia, specifically China (31%), South Korea (19%), Taiwan (18%), and Hong Kong (8%). After Asia comes the United States, with a respectable 4.8%. Now, to be sure, you likely already have a good idea of the makeup of the your customers and where they are visiting from, but the important thing to consider here are the many international travelers who never made it to your door. Getting found and then engaging these audiences in their own language, with a compelling message and the appropriate user experience, is crucial if you hope to capture a meaningful share of the growing inbound travel market. One obvious way to engage these potential customers at various stages of the customer journey is to provide content and booking functions in their language. Most of the high-end hotel websites we reviewed offer content in Japanese, English, Chinese (Simplified and Traditional), and Korean. While creating and maintaining complete, mirrored versions of your website in all languages might be impractical, you should at a minimum provide basic hotel, restaurant, room, and availability information as well as booking functions in these key languages if you are serious about drawing these customers in. Creating mirrored "microsites" comprising the minimum essential content and functionality can be a good approach to providing multilingual content and core functionality (e.g. - booking and reservations) without the cost and labor associated with keeping multiple, complete websites up-to-date. This is what The New Otani and the Tokyo Station Hotel have done with the localized versions of their websites. 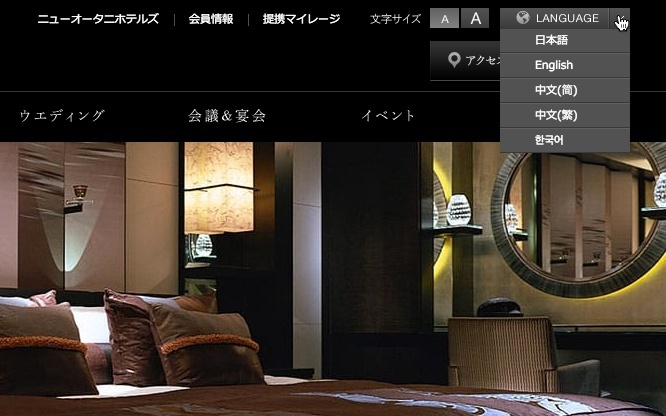 On the Japanese side it is important for international hotel companies to remember that the one-size-fits-all approach to website design which works fine in Europe or North America may not work so well in Japan. While in the West it is important to present a polished, clean, and professional brand image on the web (particularly in the case of luxury brands), the typical Japanese website visitor is accustomed to seeing lots of text content and having ready access to detailed information, explanations, and specification. Without these she will be reluctant to proceed to booking or sale. Quality of localization is another important factor to consider here. In our survey of 100 Japanese consumers, 84% responded that encountering poorly formatted/localized text or imperfect Japanese on a website can lead to distrust of the company itself and discourage them from purchasing or otherwise doing business. (Note the Chinese where Japanese should be below.) The Japanese market has very specific needs and expectations, and meeting these is rarely possible with a centralized, "global standard" approach to design, information architecture, and user experience. 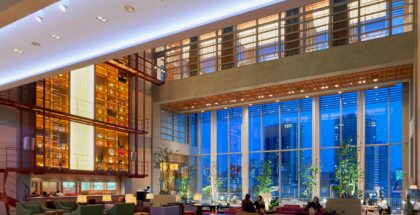 One thing our research revealed again and again is that Japanese hotel websites by and large do not place much importance on providing a smooth and efficient user experience in one of the areas that matters most: booking. 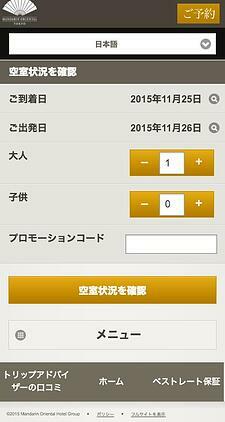 Take for example the top-page booking form for the Tokyo Station Hotel. This form design is common but suffers from some notable flaws. The most obvious of these is that it does not present the user with a calendar view for choosing dates. Instead you simply get drop-down lists, with no indication of the day of the week. 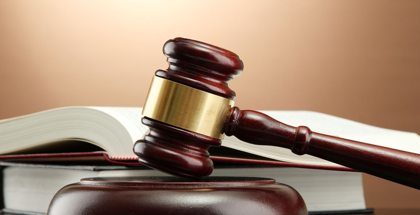 The other is that this format essentially maximizes the number of clicks required to commence the booking process, when the goal should be to do just the opposite. Compare this with the booking form for The Four Seasons below. With a single click you have access to the full form and a calendar for the coming two months. An even better example of getting it right is the booking form on the English version of the InterContinental Hotel website. Rather than try to make the calendars and form controls as tiny and click-inducing as possible, this website gives you a full-sized date picker complete with dates and prominently displayed day of the week. Other nice touches here are the collapsible More Options link and the single-click controls for selecting the numbers of guests. Want to impart to your guests a sense of the premium experience they can expect when staying at your hotel? Give them a premium website user experience when they go to book instead of the clunky one they are seeing elsewhere. Also, if you're looking for a booking engine that supports all of the languages mentioned above check out Sabre's SynXis Booking Engine. This powerful application is used by almost all of the websites we reviewed which cater to Asian and English-speaking travelers. Getting customers to find your website first and book there rather than via the OTAs is a challenge for hotels everywhere, and not just in Japan. What can you do to drive more traffic directly to your website and own the customer experience? Advertising is one option--and a commonly-used one--but those clicks come at significant cost. One alternative you should consider is content marketing. In other words, content marketing is a strategic marketing approach focused on creating and distributing valuable, relevant, and consistent content to attract and retain a clearly-defined audience — and, ultimately, to drive profitable customer action. As a hotel, what kinds of content can you create to bring more traffic to your website? One important way to answer this question is to think first about the customer journey. What are the micro-moments your customers experience along their journey to you during which you would like to connect with them? What kinds of information can you provide that are relevant, useful, or interesting? Let's let the Moments introduced in the Travel Trends article mentioned earlier serve as a starting point. Dreaming Moments. Having content that answers questions like "What to do in Tokyo?" or "Where is Fukuoka?" can be a great way for prospective customers to find you when they are thinking about where they might like to travel next. Area guides, travel tips, lists of things to do, these are examples of content which is both useful to your audience and beneficial for you in creating touch-points with them. Planning Moments. Providing visitors with information about cost, travel times to and from local transportation hubs or attractions, or travel planning tips can be of great benefit to people working to make sure they their trip is well-planned, stress-free, and enjoyable. Travel Moments. Once on the ground your guests are thinking about how to get to the hotel, what's in the area, where they can eat, change money, or shop. Does your website do a good job of answering these questions for them? Similarly in the case of travelers who are not your guests, will you connect with them when they search for "restaurants near me" or "hotel near me?". Offering rich and useful content for both kinds of travelers is a great way to both provide good service while also helping them enjoy their vacation time to the fullest. Being present in these moments has the benefits of staying top-of-mind among your customers (and others) while helping to create positive, memorable experiences for them. Happy customers are more likely to write positive reviews, say nice things in blog posts, and recommend you to their friends. Creating content (which they search for and find) rather than ads (which simply interrupt them) makes all of these possible. As part of your content strategy you should also think about video. According to research published by Google, YouTube and travel vlogs have become a primary source of travel inspiration, and views of travel-related content are doubling every year. Creating and publishing high-value video content is a great way to showcase not just your hotel and it amenities, but also the local area and attractions of interest to prospective visitors. Having a website and booking system that look and work great on mobile devices is now the rule rather than the exception. Your visits expect a modern mobile experience and it behooves you to give them one. The domestic traveler may be your largest market, but inbound travel is growing by leaps and bounds, and getting a piece of that action means speaking their language. 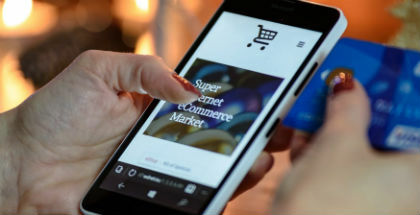 For the domestic market, providing visitors with a high-quality, information rich website experience is the best way to earn their business. A modern, functional, mobile-optimized, and multilingual booking engine is a great way to convert visitors into guests. Settling for anything less is leaving money on the table.